Track tasked done on retainers by budget or by hours. Improve your profitability by automating the process of managing your retainers. 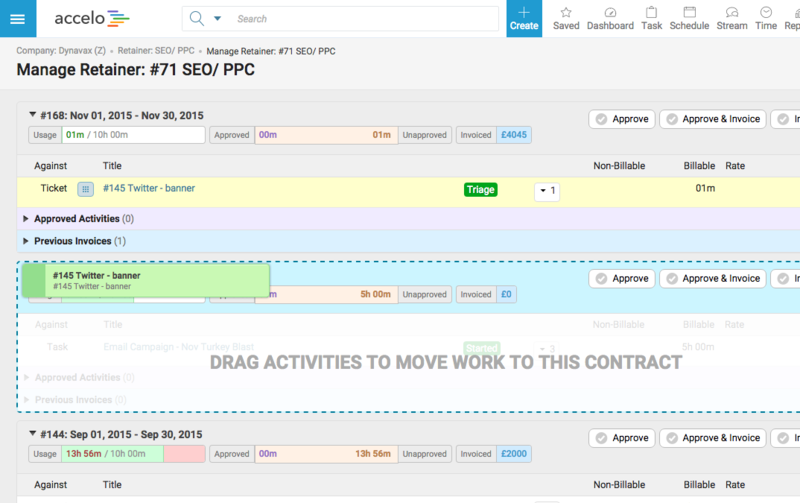 Easily move time between contract periods and approve the hours tied to contracts from issues, projects and even directly against the contract itself. This allows you to keep a fine-grain eye on your contracts and retainers. 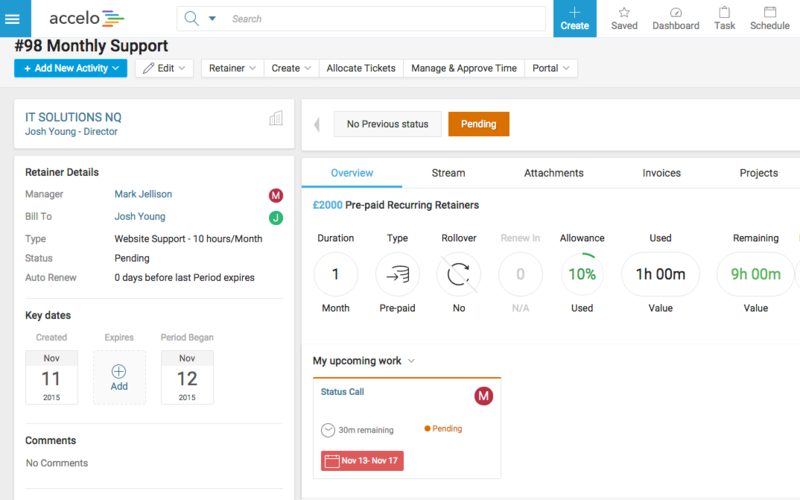 Recurring tasks, plans and budgets will automatically renew, allocating time in your time’s schedule immediately and taking the pain out of managing recurring contracts. Automatically bill for recurring contracts or easily bill for over-usage, keeping you profitable. Automatically slot time in your schedule when deadlines change or staff are reassigned, and have it appear against the corresponding contract or project. 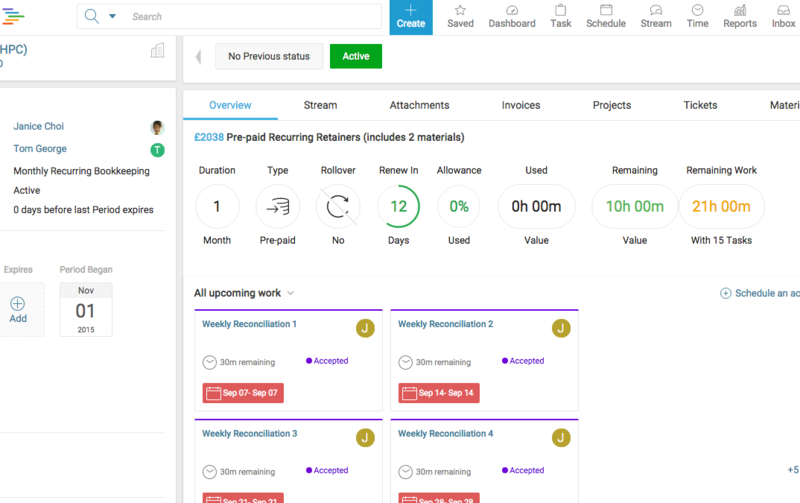 Specify hourly rates on different contracts, giving you the flexibility to set up different budgets for each monthly/quarterly period and have different rates for projects or issues. 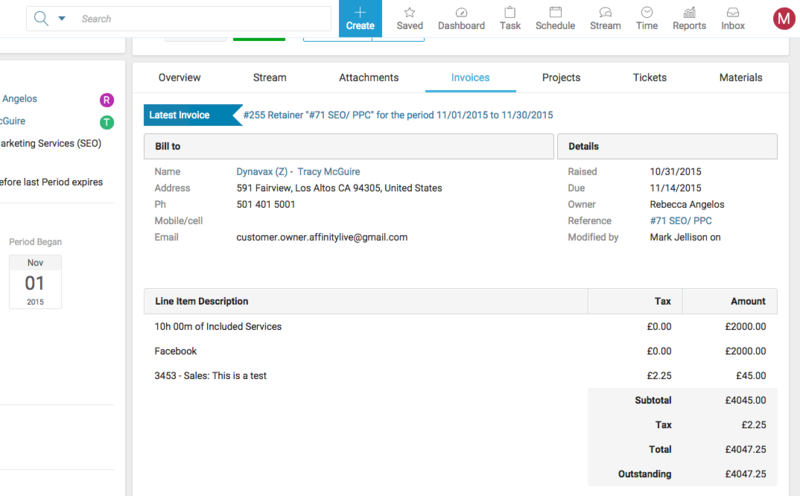 Include, invoice and manage both time and non-time parts of a contract easily, making it easy for you to keep track of more than just hours. 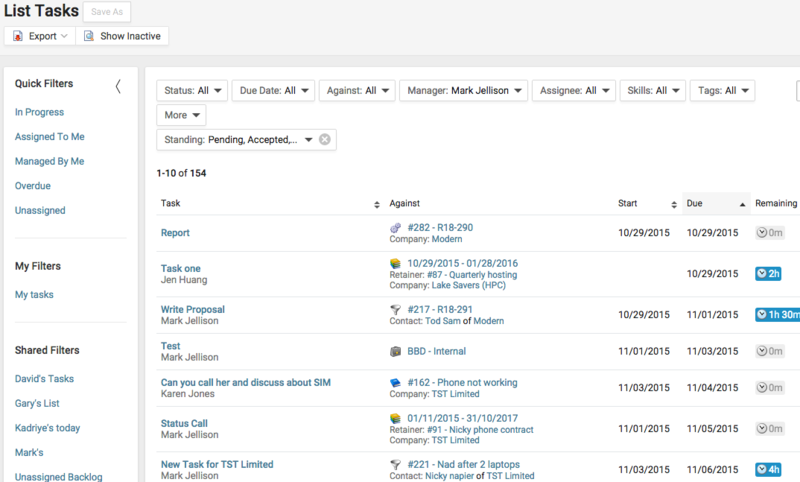 Track tasks across all projects, retainers and services to present a single view of your team utilization, a complete view of all your resources and contract utilization. Always know exactly how many hours you have left in your retainer package by setting up an automatic email reminder notifying your team when hours on a contract are able to end. Accelo offers real-time utilization reports, giving you real-time visibility of available budgets and utilization.